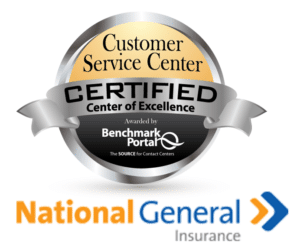 March 28, 2017 – National General Lender Services (National General) has secured the Center of Excellence re-certification for its call centers from BenchmarkPortal for the 11th consecutive year. The Center of Excellence certification is one of the most distinguished awards in the service and support industry and is only achieved by customer care facilities ranking in the top ten percent of thousands of call centers studied across the United States. National General is one of only five companies to achieve the Center of Excellence certification for 11 consecutive years and is the only one in the insurance industry to do so. Further, National General’s call centers achieved caller satisfaction rates more than 9% above industry average and first-call resolution rates more than 5% above industry average, leading to lower customer effort in resolving inquiries. In addition, National General received the Top Contact Center Award for 2017 from BenchmarkPortal. The Top Contact Centers competition compares the performance of contact centers through North America by evaluating their key metrics against other centers based on center size. Since the Top Contact Center Contest process is based entirely on statistical comparison to the world’s largest and most respected database of contact center metrics, this competition can objectively identify centers that are achieving superior results both in financial and qualitative terms. Call centers achieve the Center of Excellence distinction based on best-practice metrics drawn from the world’s largest database of objective and quantitative data that is audited and validated by researchers from BenchmarkPortal in conjunction with the Center for Customer-Driven Quality at Purdue University. Call centers are judged against a balanced scorecard of metrics for efficiency and effectiveness, and only those centers ranking in the top ten percent of call centers surveyed earn the award. 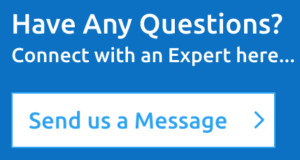 Founded in 1995, BenchmarkPortal is a global leader in the contact center industry, providing benchmarking, certification, training, consulting, research and industry reports. The BenchmarkPortal team of professionals has gained international recognition for its innovative approach to best practices for the contact center industry. BenchmarkPortal hosts the world’s largest database of contact center metrics, which is constantly being refreshed with new data. BenchmarkPortal’s mission is to provide contact center managers with the tools and information that will help them optimize their efficiency and effectiveness in their customer communications. National General Holdings Corp., headquartered in New York City, is a specialty personal lines insurance holding company. National General traces its roots to 1939, has a financial strength rating of A- (excellent) from A.M. Best and provides personal and commercial automobile, homeowners, umbrella, recreational vehicle, motorcycle, supplemental health, and other niche insurance products.